Let’s try it! 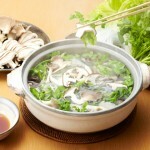 Yes, I made two different kinds of Udon in NABE (hot pot) today. 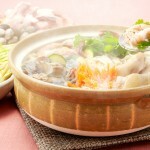 I used a small NABE. It is very convenient for a single. 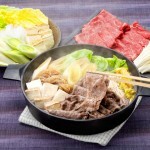 You can cook in NABE, and you can eat from NABE. That is right. Do not need to wash a dish. 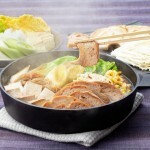 Only need to wash A NABE! My favorite is Oriental Flavor. 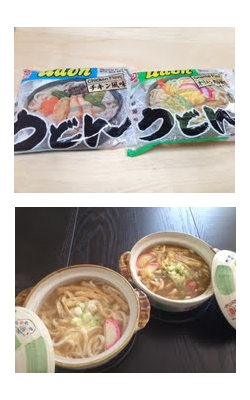 Chicken Flavor was OK, but the taste was similar to Nisshin Cup Noodle (Chicken Flavor). So I added the curry cubes in Chicken Flavor to make Curry Udon. Then that was delicious. 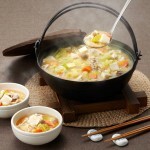 My recommendation is…， if you want to eat Traditional Japanese Udon, please try Oriental Flavor. If you want to eat “Upon with Chicken noodle taste”, try Chicken Flavor. If you like curry taste, add the curry cubes. 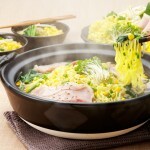 Please remember, once we cook udon in NABE, we call the udon “NABE YAKI UDON”.